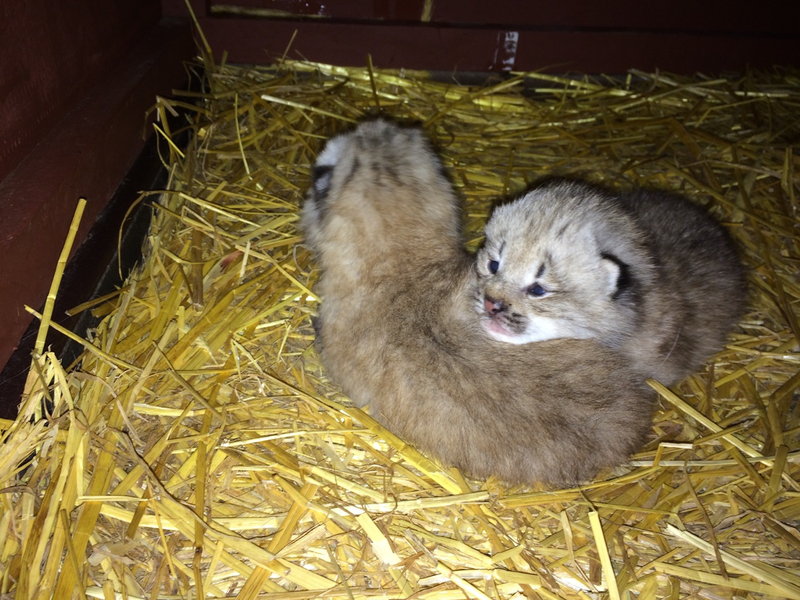 Connecticut’s Beardsley Zoo welcomes two Canada lynx (Felis lynx) kittens, born on April 26, 2017. The babies have yet to have their first exam by the zoo’s veterinarian, as their mother is still extremely protective and the zoo staff is respecting her need for privacy for several more weeks. The two kittens appear to be healthy, and a quick peek into their den showed that their eyes are open.